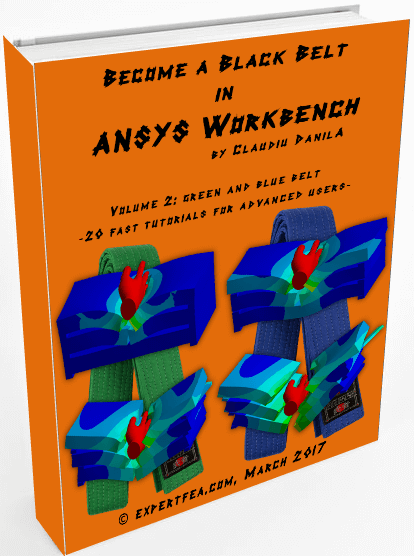 This volume is very useful to all people eager to learn FEA very quickly in ANSYS Workbench! The book contains tutorials 21 to 40 from Short Tutorials 2 page at 50% discounted price! In this unique PDF with 200 pages, 434 images and 20 of 3D models, you receive step by step instructions via short tutorials which will help you fastly improve your ANSYS Workbench and FEA knowledge.